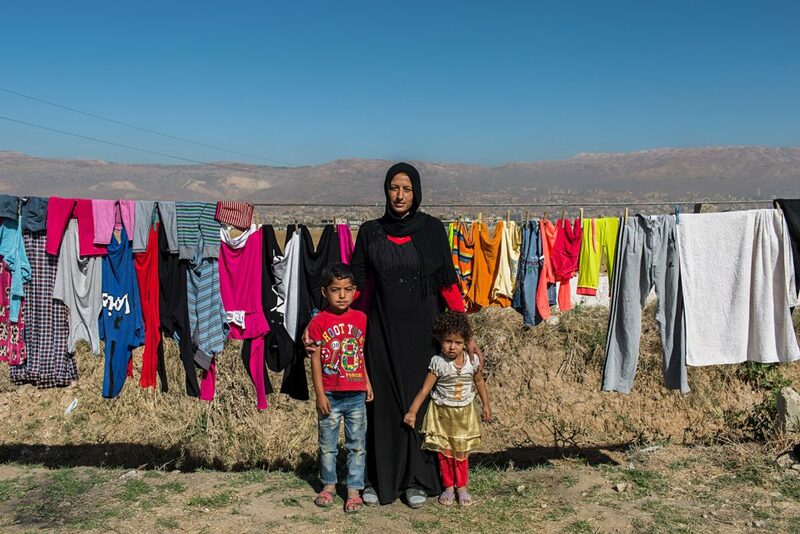 At the end of June 2016 the Lebanese government authorized the UNHCR, the United Nations High Commissioner for Refugee, to suspend the census and registration of refugees arriving from Syria. 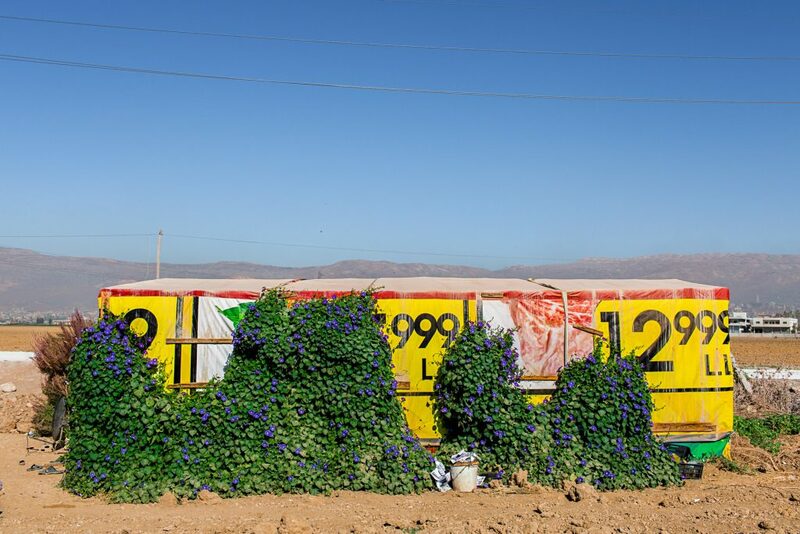 33°49’08.7″N 35°57’07.2″E are the coordinates of an unnamed area, located on the border between Lebanon and Syria, where live hundreds of thousands of Syrian refugees. In the core of the Lebanese Bekaa Valley, there are many non-formal settlements, shanty town where live many Syrian widows and orphans. Their husbands or parents died due to Daesh or due to civil war in Syria. Saleema, 21 years old, comes from Homs. 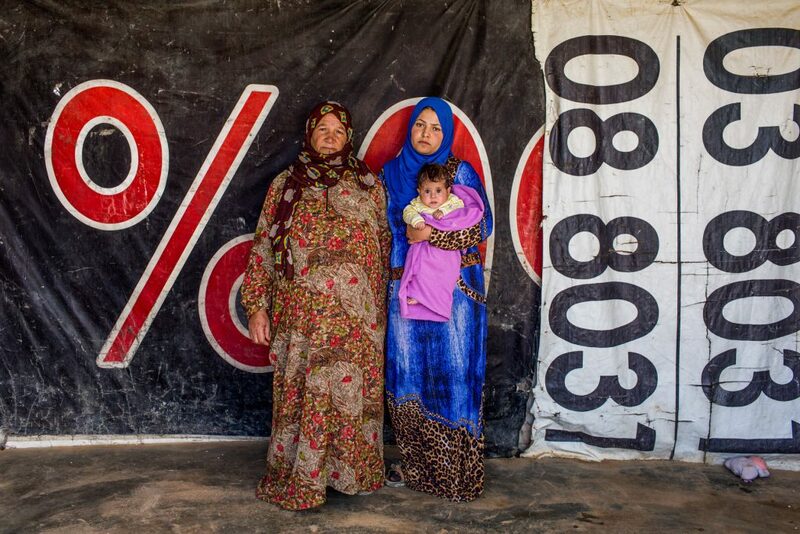 Humanitarian aid for Syrian refugees in Lebanon are insufficient. World Food Program, Unhcr and Unicef manage to allocate about $ 100 per month per household: not enough to ensure the needs. For this reason, many widows are forced to work illegally in the vegetable fields near the settlements to earn a few dollars more. 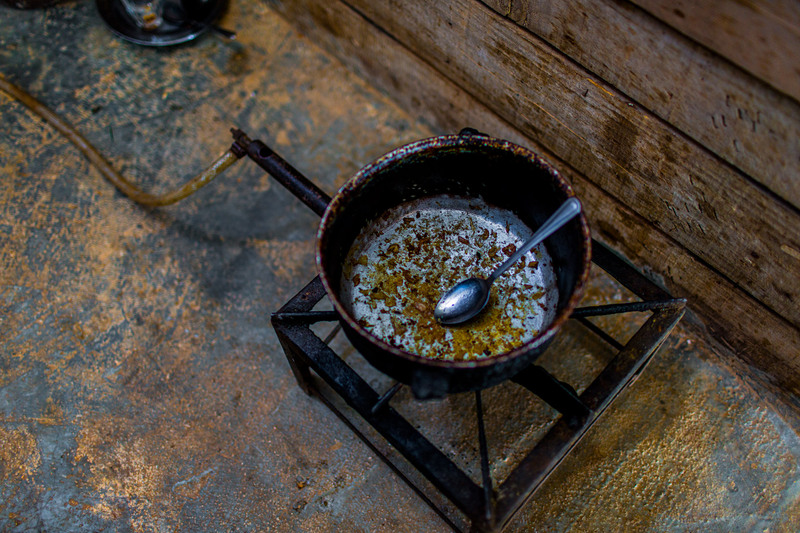 A cauldron inside a settlements. 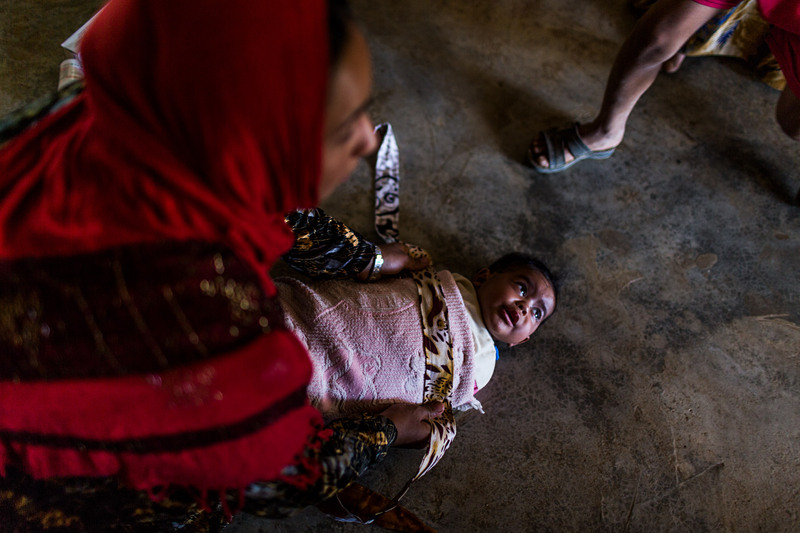 Thaana, a baby of 6 months, was born in a informal settlement. 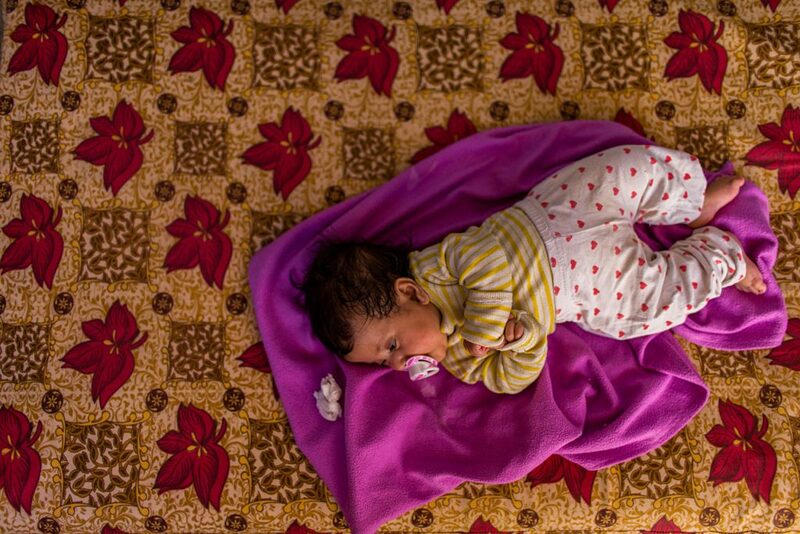 According to Unhcr report, in 2016 about 6% of Syrian refugees women gave birth in Lebanon. Poor hygienic conditions and the lack of specialized medical checks damage the health and the quality of life of refugees. The settlements are composed of groups of unfinished houses and shacks built with materials found in the landfills of waste. Khairiya, 39 years old, comes from Duma. 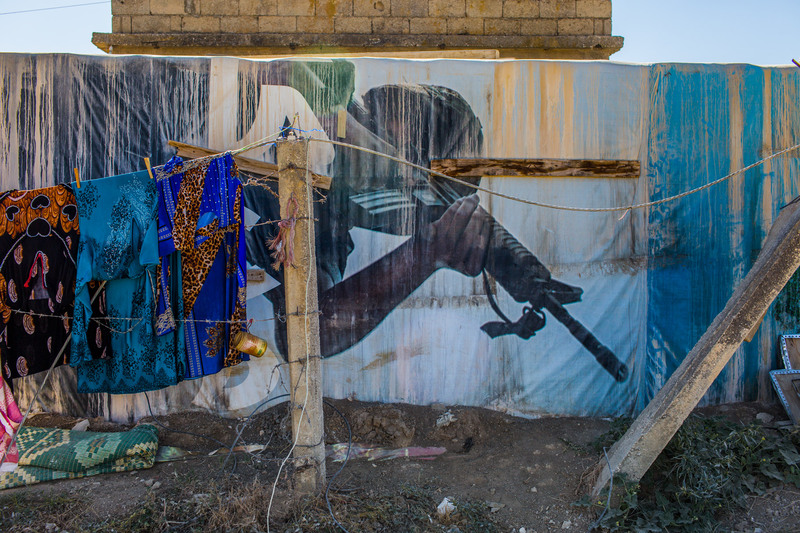 She lives inside a shack in Bekaa Valley with her two children. A woman dresses her son before she going to work. 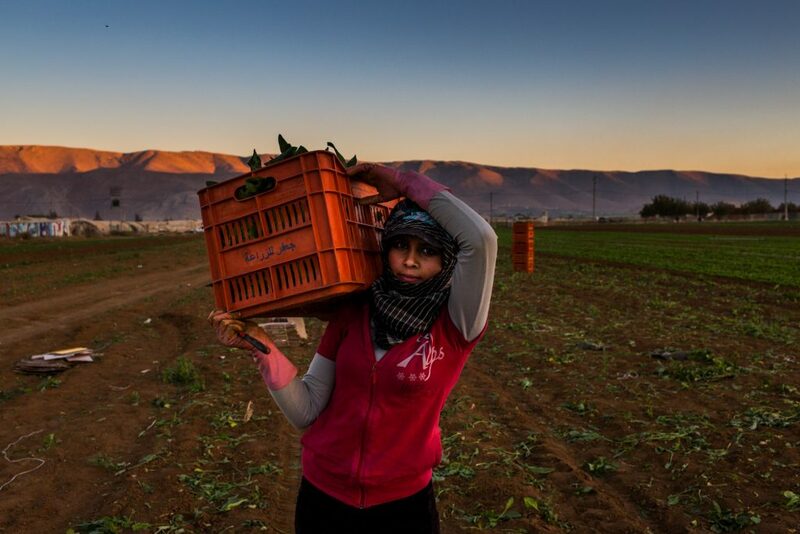 Many women are forced to work as farmer in agricultural fields close to informal camps. In turn, some women don’t go to work in to stay in the refugee camp and to look after the children. Leena, 43 years old, comes from Damasco. 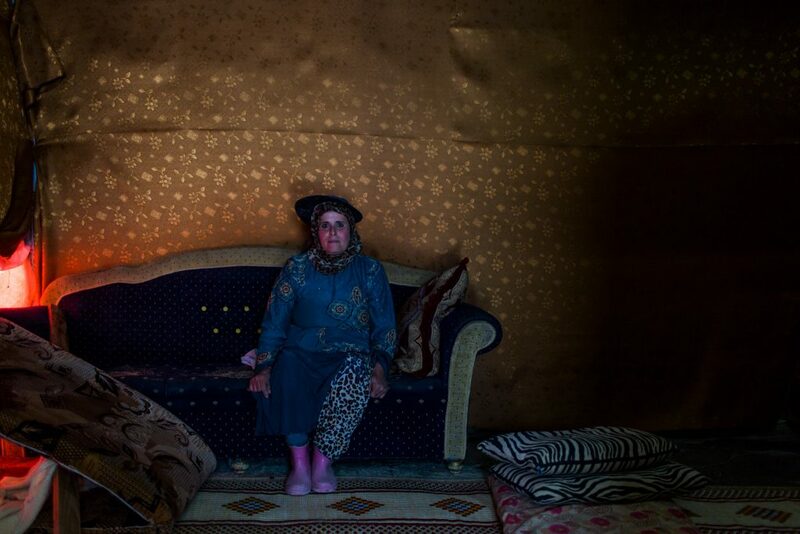 She lives alone inside a shack in Bekaa Valley. Although the living conditions are extremely poor, any refugee has a TV and a smart-phone. 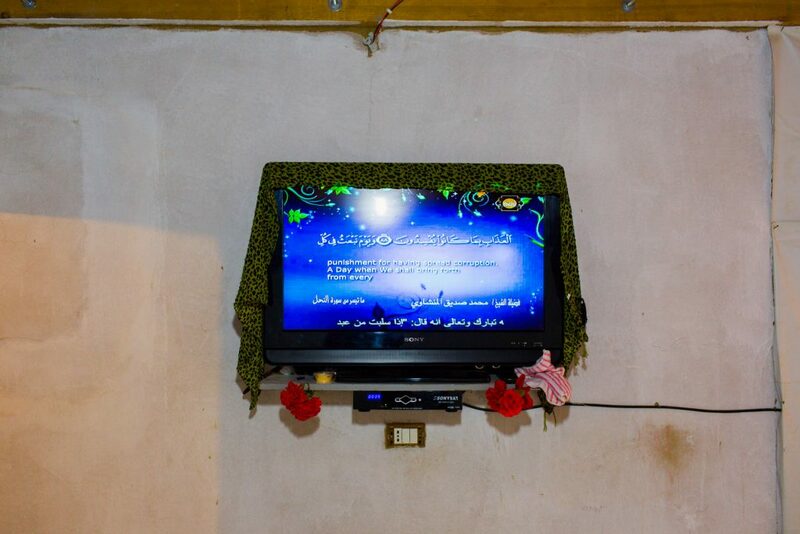 In this photograph, the TV is used to playback the texts of the Koran and to allow the prayer time. 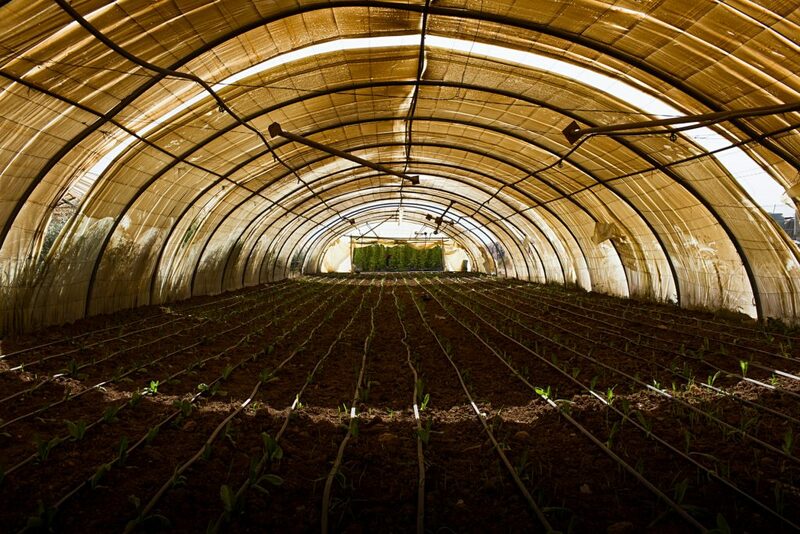 A shelter inside Bekaa Valley. On the background the Syrian border. Nawar and Tharaa are widow come from al-Raqqa. Their husbands was killed due the bombs in 2015. 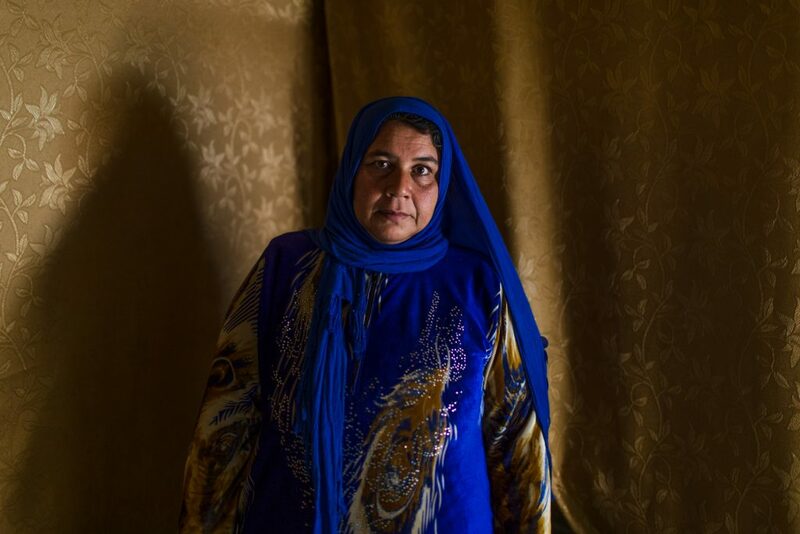 Basma, 27 years old, comes from Aleppo. 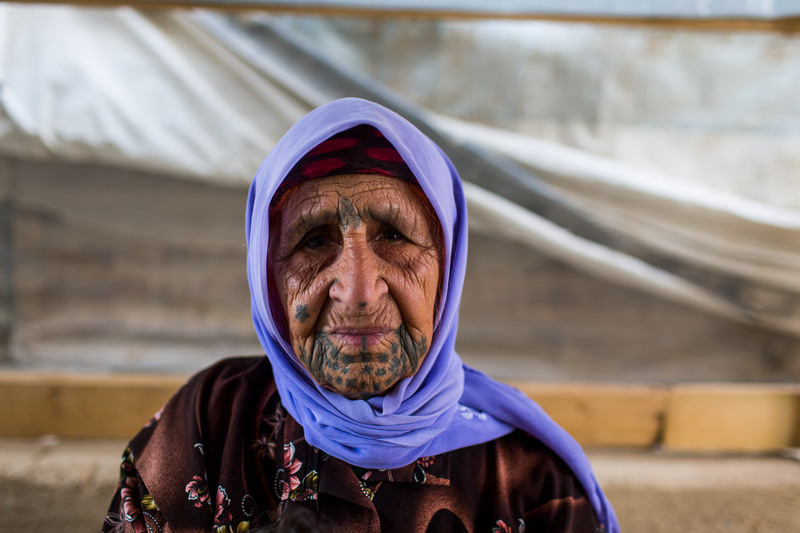 She lives in a shelter inside Bekaa Valley. Athens, Elliniko refugee camp. Safir, 23 years old. 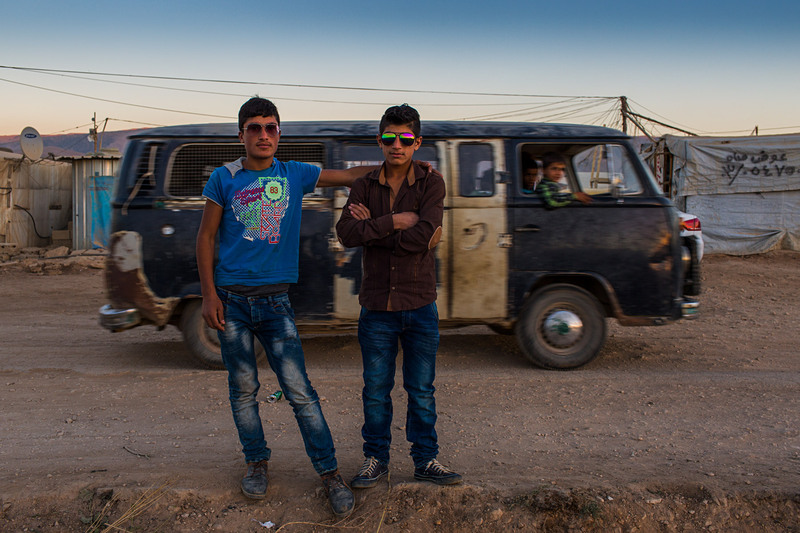 Talal and Fadi, 16 years old, come from Damasco. They became friends in the camp. Mytilene. Tamer al-Hamri, a 68 years old Palestinian refugee, lighting a fire in an abandoned house along the Makris Gialos’ shoreline to warm up and to cook the fish caught during the day. 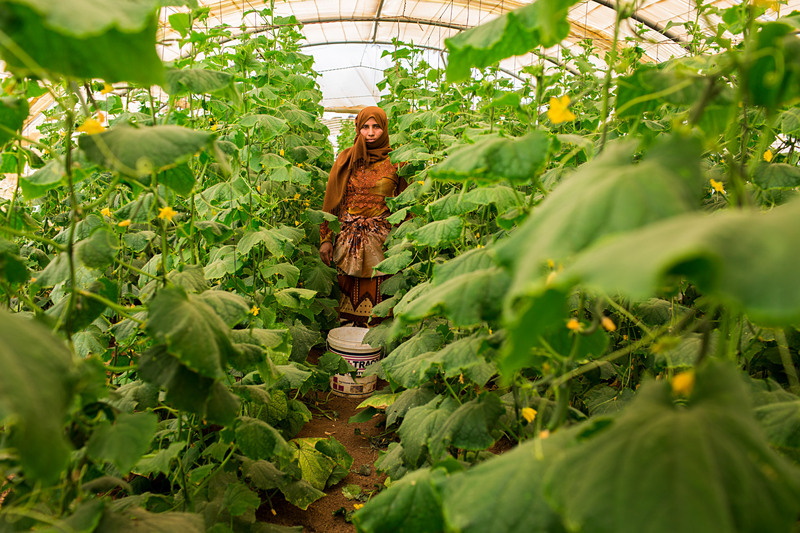 Hasna, from Al-Raqqa, working as a farmer in the zucchini greenhouses.